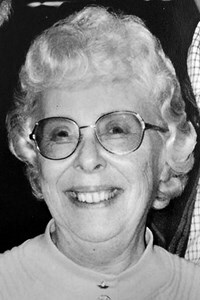 Hilde E. Wild, 85, of Constantia, NY, passed away peacefully on November 20th, 2018 after a long battle with cancer. She was born in Syracuse, NY on December 23rd, 1932, daughter of Emma and August Redell and attended North High School in Syracuse, graduating in 1950. On September 25th, 1954, she married the love of her life, Norman R. Wild, and later were graced with two children, Stephen and Heidi. Before having children, Norm and Hilde very much enjoyed traveling through the mid western United States, multiple national parks and Europe. They had shared a real life love stoy, Hilde was “The girl next door”. They were childhood friends that grew up next to one another and fell in love. They shared a 64 year marriage. Hilde was happiest when surrounded by her family and she enjoyed being home caring for the ones she loved. Not only was she a wonderful cook, but also a kind, generous, loving mother and wife. She was predeceased by her parents, Emma and August and brothers, Herberet A. Redell and Norbert F. Redell. She is survived by her husband, Norman R. Wild; son, Stephen A. Wild; daughter, Heidi E. Wild;three grandchildren, Emma, Ava and Lily Fisher and several nieces and nephews. She was truly adored and loved by many. A memorial celebration will be held at a later date in the spring; family members and friends will be advised. Add your memories to the guest book of Hilde Wild. Johnny & I would like to send our Deepest Condolences to all of Hilde’s family. We used to enjoy the sight of your car in our driveway visiting with our parents Nick & Margie! When younger, fun times in the lake and seeing you at the Constanta Field Days. Please include us when you plan to have the Memorial Service. If we are in Town, we would like to attend. So sorry to hear about Hilde. Our deepest sympathy to you and your family. The Mucci family from Martin Street. Hildie will be missed greatly by all who knew her. She was a beautiful lady. My condencles to Norm and the rest of the family. Our condolences on the loss of Hilde. May you be comforted by happy times and memories.